The Legend of Zelda Oracle of Ages and Oracle of Seasons will be available in the Japanese eShop February 27th. 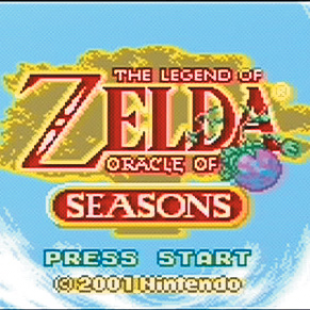 In 2001, Nintendo released The Legend of Zelda: Oracle of Ages and Oracle of Seasons for the Game Boy Color. The games hit shelves simultaneously and on February 27th they'll come out again, joining the 3DS's Virtual Console library in the Japanese eShop. The pair will be priced at a temporary discount, being sold for 500 Yen (about five dollars) until March 20th after which they'll return to the standard price of 600 Yen. Though no official announcements have been made slating the two Oracles for release outside of Japan, it's very likely they'll find their way to other regions. The Legend of Zelda: Link's Awakening DX, another Game Boy Color game, was a significant success for the 3DS's Virtual Console and there are more than a few Zelda fans likely chomping at the bit for another chance to purchase and play the games. It only makes sense that these two well regarded titles will soon be showing their faces on other shores. If and when they do, they'll join a bevy of recent, higher profile additions to the 3DS Virtual Console. The first two Mega Man games have already joined the library with plans in place to release the following four. The original Castlevania was also added recently, as were games like Ninja Gaiden and Ice Climbers. In fact, if the Oracle games join the 3DS library there won't be too many Zelda games left that aren't available on the 3DS in one way or another. 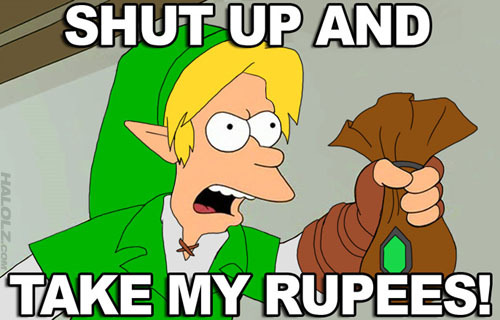 Excepting the GameCube and Wii games, only A Link to the Past and Majora's Mask remain unavailable. A friend of mine lend me the game (and I lend him Pokemon Gold) and it was pretty awesome, if someday I ever decide to get my hands into a 3DS, this will definitely be a great incentive to buy one, lots of Zelda goodness to be had on the little fella. Oracle of Time was the first and only gameboy version of Zelda I ever played, and what a game it was. Hope they will be successful, you can't beat reviving a classic! There never was an "Oracle of Time". *ahem* it's "Oracle of Ages". The rest I find very agreeable, though. God, I love the Oracle games. They're second only to Ocarina of Time in terms of Zelda games that I love. These are BOTH so bought as soon as they reach the west.